Remember Spirit Day at WPS is Monday, October 31st! Happy Halloween!!! Students are encouraged to wear orange and black or a costume. As not all our community celebrate Halloween, we hope that a colour spirit day is inclusive for all to have fun for the season. 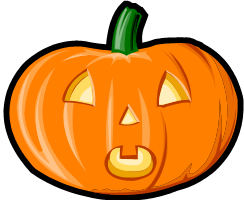 Regular instructional programming will continue, however, the primary division Grade K-3 will be hosting a short parade through the school in the spirit of fun for Halloween and the fall season..